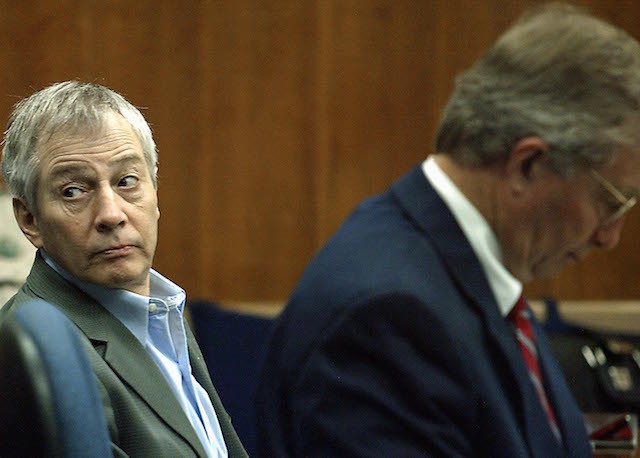 Robert Durst, the subject of HBO&apos;s engrossing true crime docuseries The Jinx, will be extradited from New Orleans to Los Angeles next summer for murder charges connected to the death of his friend, Susan Berman. The 72-year-old Durst, who is a member of one of New York&apos;s most powerful real estate families, will be extradited to L.A. by Aug. 18, 2016, where he will be arraigned for his pending murder charge, according to the L.A. County District Attorney&apos;s Office. The district attorney&apos;s office announced today that they jointly filed an agreement with Durst and his attorneys for the extradition. Durst has been linked to but never convicted of two murders—one of which included Berman&apos;s grisly death in 2000—and the disappearance of his wife, Kathleen Durst, in 1982. Berman, a prolific writer and daughter of a prominent Las Vegas mobster, was found shot execution-style in her L.A. home in 2000 at age 55, but no one was ever charged in her murder. The Jinx renewed interest in the unsolved murder case and found some new details that could incriminate Durst. In 2002, Durst was acquitted of murdering and dismembering his neighbor, Morris Black, in Galveston, Texas. It was a disturbing death in which Black&apos;s butchered body parts were discovered in garbage bags floating in the bay. His attorney, Chip Lewis, argued that Durst&apos;s actions were out of self defense. While filming an interview for The Jinx, Durst was caught on tape muttering to himself, "What the hell did I do? Killed them all, of course." Investigators reopened Berman&apos;s case, and in March, authorities arrested Durst in New Orleans in connection to his friend&apos;s death. They found Durst in a hotel room at the time with a revolver. He also was wearing a rubber latex mask as a disguise, using a fake ID and had more than $42,000 in cash. Federal agents believed Durst was trying to flee to Cuba. Durst later struck a plea deal with prosecutors on a weapons charge, and has been in jail in Louisiana since his arrest. He waived extradition. "He&apos;s maintained his innocence for years. Nothing has changed," Durst&apos;s attorney Chip Lewis, told the Washington Post in March.